Dove launches in January 2010 a new offer in its Body range : Dove Visible Effects, maybe a turn in Dove strategy in Skincare. First of all, please note that both products Hand Lotion and Body Lotion have the same ingredient list. It is not suprising for a cosmetic company to use the same technology is several products. Usually, some slight changes are made to differentiate formulas. 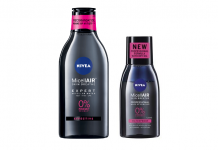 Here, Unilever has decided to keep the same formula on two products of the range. O/W emulsion based on the couple of surfactants Cognis Lanette N (Cetearyl Alcohol (and) Sodium Cetearyl Sulfate) / Uniqema Arlacel 165 (PEG-100 Stearate (and) Glyceryl Stearate). The formula does not contain any polymeric stabilizer. Lanette N is sold by Cognis as a “nearly natural” raw material, approved by Ecocert for natural and organic cosmetic products, PEG-free and claimed to be selfemulsifying (no need of other surfactant). However, it is associated in Dove’s formulas with the very common Uniqema Arlacel 165, PEG-based surfactant, but cheap and efficient to stabilize O/W emulsion. 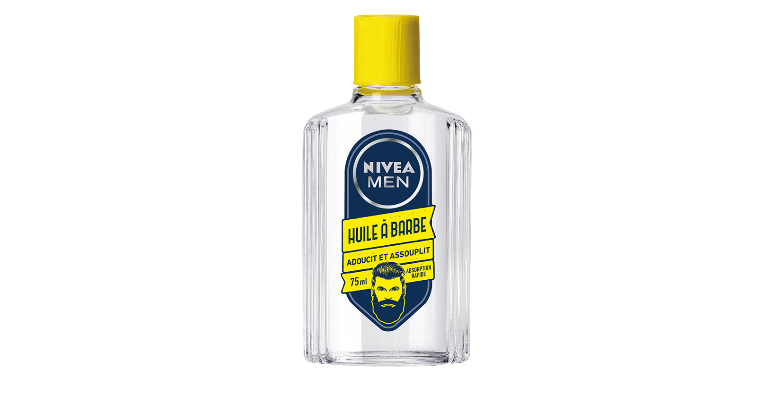 Maybe Unilever had no other choice than combining these two surfactants to obtain a stable emulsion, due to the presence of two active ingredients difficult to formulate : Hydrovance, with pH stability concerns, and Glycerol Quat being cationic. silicones : Dimethicone (non volatile silicone oil, makes the application more slippery), Dimethiconol (silicone gum, giving a very soft finish after application). The aqueous phase contains glycols (glycerine, PEG-12), strong moisturizing and emollient agents, and a water-soluble silicone : PEG-12 Dimethicone. Usually used in shampoos, it is a “conditionner”, which lives skin smooth and soft after application, helping to reduce the stickiness of formulas. The formula also contains a powder – Tapioca Starch – to improve penetration speed and softness of the formula. The preservative system is very classical : Phenoxyethanol + Parabens (Methylparaben, Propylparaben), with the help of an EDTA salt (Disodium EDTA). There has been no will or no other choice from Unilever to remove parabens from this new launch. This could be explained by the presence of Hydrovance in the formula : due to pH constraints (Hydrovance is more stable at neutral pH – pH 7), it was not possible to replace parabens by organic acids (benzoic acid, sorbic acid, …etc) only efficient in acidic conditions. The formula also contains Triethyl Citrate. Is is very likely added to stabilize formulas against pH drift due to the presence of Hydrovance, such as advised by National Starch, supplier of Hydrovance. 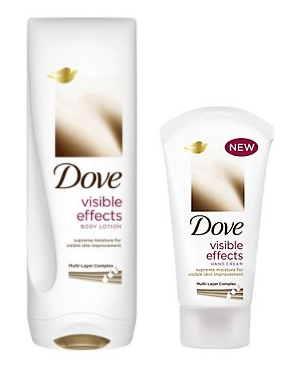 Dove’s concept is quite simple for its new “Visible Effects” range : if the skin is well supplied with moisture, it immediately and visibly becomes more beautiful and more supple. But behind this simple concept, Dove puts forward a very innovative association of active ingredients, with a very complete spectrum of action. 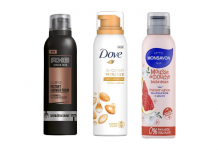 In its press releases announcing the launch of Dove Visible Effects (here and there), Unilever reveals the innovation in moisturization it added to this new range : the “multi-layer complex”. This complex is claimed to act in three levels of the stratum corneum, the upper part of the epidermis. Hydroxyethyl Urea is more stable when formulated at neutral pH. Moreover, certain formulations utilizing this active ingredient have shown to drift to higher pH over time. 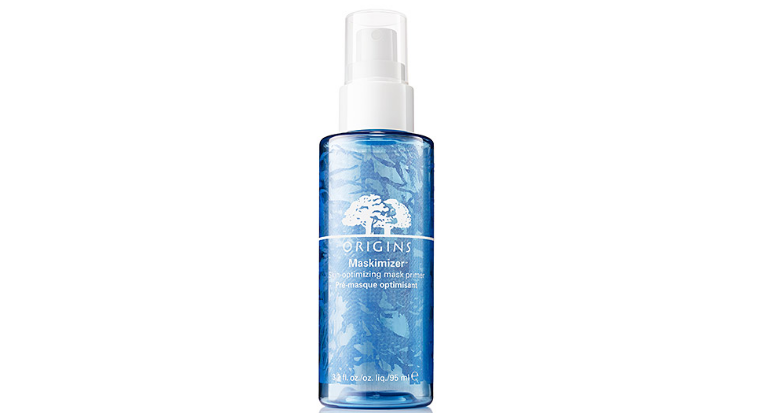 Moreover, the formula had to remain pleasant to use, and efficient as a moisturizer. The solution found by Unilever is to associate two self-emulsifying surfactant : a non-ionic (Arlacel 165) and a anionic (Lanette N), stabilizing the pH with a low molecular weigh ester (Triethyl Citrate). The choice of Lanette N (Cetearyl Alcohol (and) Sodium Cetearyl Sulfate) is quite surprising, since this surfactant is anionic. Apparently, Unilever encountered no issue to formulate Dihydroxypropyltrimonium Chloride with it. Succeeding in formulating its “Multi-Layer Complex”, Unilever offers to Dove a new strategy to talk about body moisturization : a shift from “real beauty” to science. A new ingredient has been created, patented, and branded as “Glycerol Quat” by Unilever. A very technical communication has been made, explaining how Dove’s new range hydrates the “three layers of the stratum corneum”, but with a simple fact : a moisturized skin is visibly more beautiful.